Next time you’re on the river and notice that your favourite castle, bridge or folly has been treated to a little TLC, it may well be that you have Tweed Forum to thank. 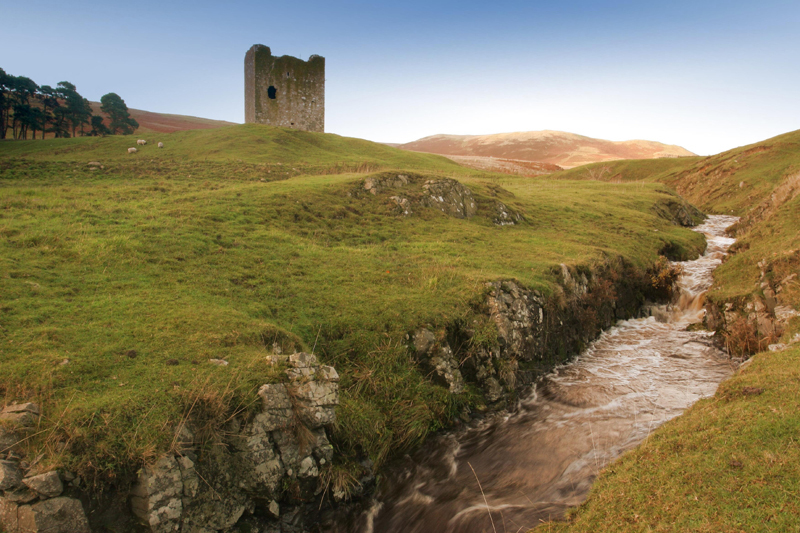 Our programme of built heritage restoration is, arguably, a less well-known aspect of our work but we’re just as passionate about towers, bridge aprons and finely dressed stone as we are about the wildlife and habitats of the Tweed catchment. The Tweed Catchment Management Plan (CMP) is at the heart of everything Tweed Forum does. It encompasses the entirety of the Tweed Catchment including the built and cultural heritage of the river and its environs. Indeed, Tweed Forum strongly believes that the amazing artefacts humans have built, used and cherished over the centuries are as deserving of our protection as the natural wonders of the Tweed. In recent years we have been instrumental in the restoration of Fatlips Castle and Coldingham Priory, with previous projects such as Crystal Well, Stow Bridge and Dryhope Tower also coming under the Tweed Forum umbrella. Our restoration projects have given a new lease of life to these wonderful structures, reconnecting them with their local communities as well as benefiting the local tourism economy. This delivery of multiple benefits is a key element of the work of Tweed Forum; past, present and future.